The book list below is not comprehensive, rather, it is just what we happened to come upon. 1. 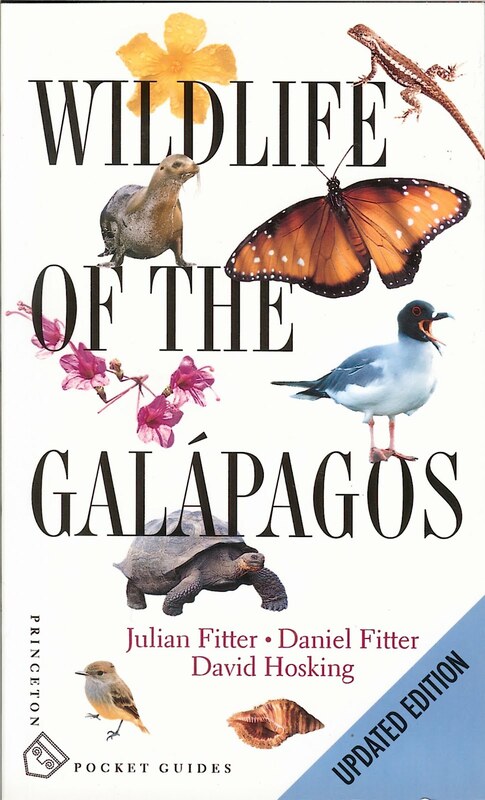 Wildlife of the Galapagos by Julian Fitter, Daniel Fitter, and David Hosking. First published in 2000 under the title Collins Safari Guide to the Wildlife of the Galapagos. This slim little book is probably the best book (if you are going to just take one) to throw into your daypack and take out and consult while in the islands. That’s how we used it. 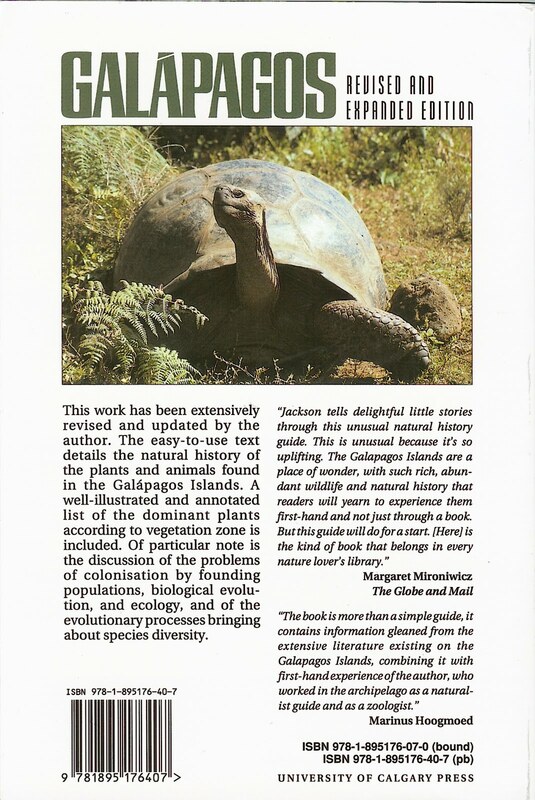 We often handed the book to our guides who thumbed through it to find a plant. This book saw a lot of use. 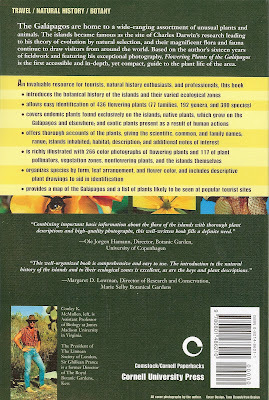 While not the most complete source of information about plants, this book will serve the interests for a broad base of people interested in understanding and naming what they see. There is a section in the back called Visitor Sites that describes the most common places visitors will likely visit. There are maps of the sites with lists of plant and animal that you’ll likely see at the sites. This was handy. 2. 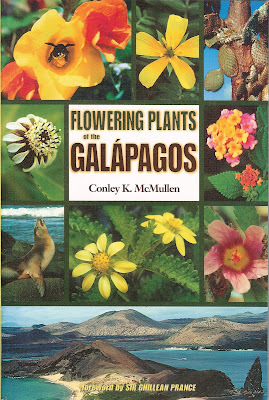 Flowering Plants of the Galápagos by Conley K. McMullen. Published 1999. This book is probably the most complete of the books on plants being that it is just about plants. 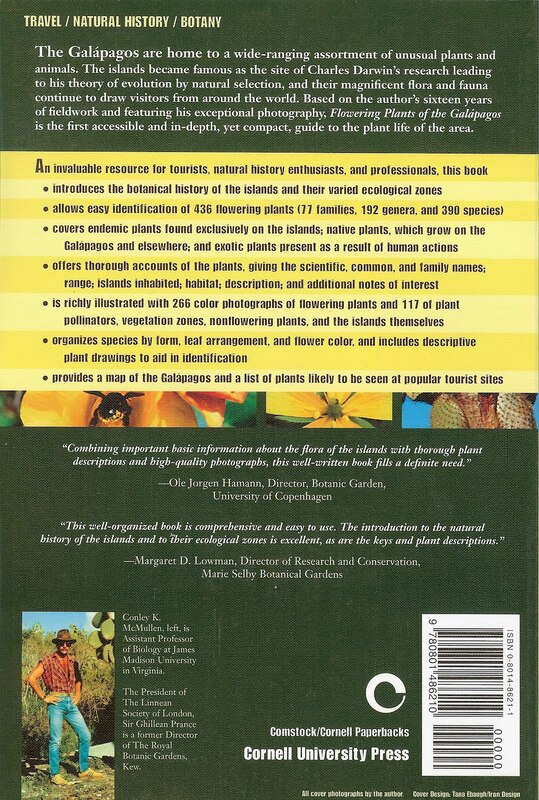 The book is interesting in that it provides a more accessible plant key as opposed to a full-blown dichotomous key. (We’ve had some exposure to those for plants of the Northwest with Hitchcock and Cronquist and they can be difficult for the plant hobbyist - in whose company we count ourselves.) 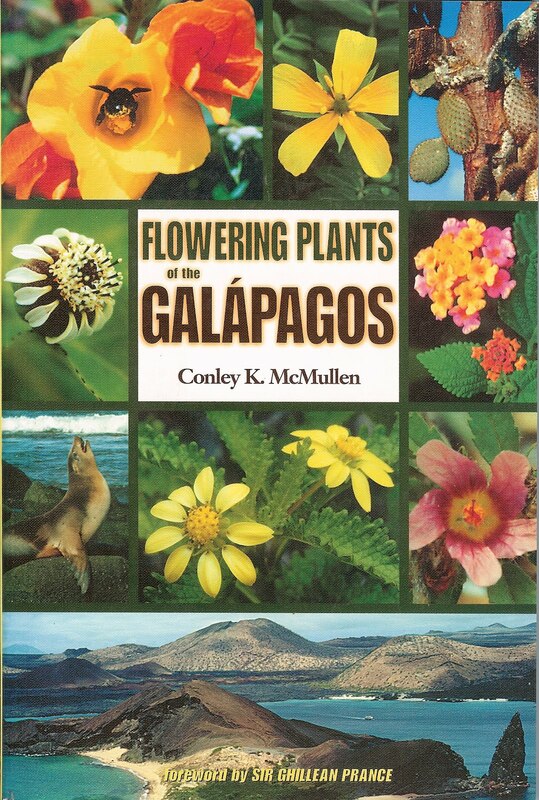 The plant key in Flowering Plants of the Galápagos is based on simple characteristics you can easily observe: Type of plant (tree, shrub, herb, vine, cactus), leaf structure (alternative, opposite, whorled, clustered, basal), and flower color (white, yellow/orange, pink/red/purple, green, brown). We did not take this book with us. 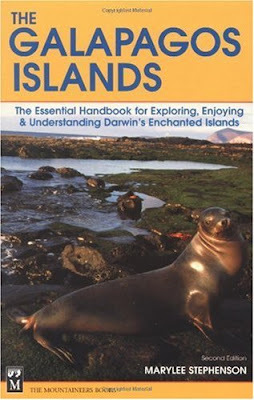 If we go back to the Galápagos we probably would take this book. For analyzing photos of plant after the trip and making identifications, this book is indispensable. 3. 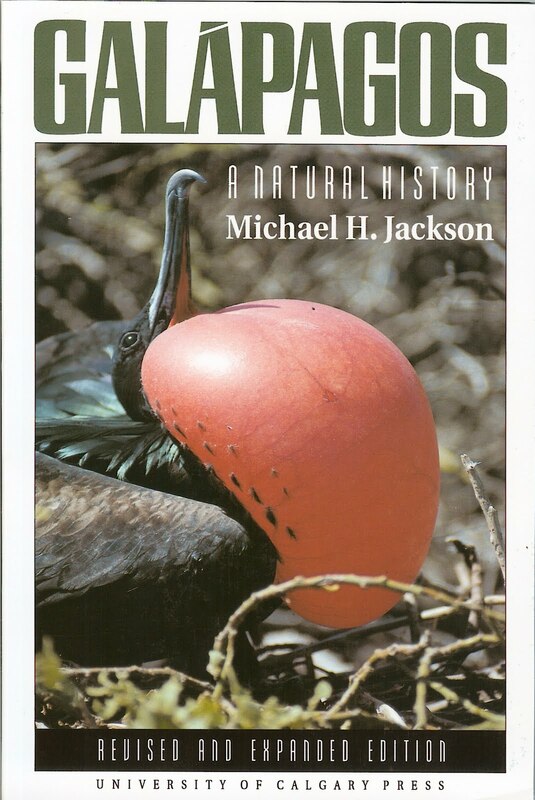 Galápagos: A Natural History by Michael H. Jackson. First published in 1993. 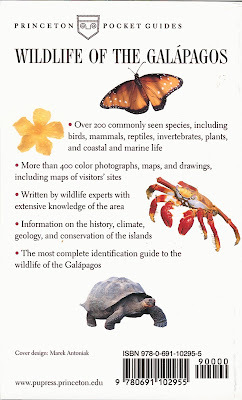 Galápagos: A Natural History is more or less the standard reference for the islands. Our guide from Ecuador Adventure had the Spanish version of this book. We took this book with us as reading in downtime, but not into the field. The author provides a good understanding of the islands on many different levels: historical, geological, plant life, birds, marine life, and conservation. In the back there are handy lists of plants and animals by zone in which they are found. In particular, Table 6: Plants Typical of the Vegetation Zone (Chapter 3) is a list we printed out and used to get familiar with before leaving. It turned out to be a good strategy because we saw 80-90% of what is given in the table. 4. Galapagos: A Guide to the Animals and Plants by Nigel Sitwell. First published in 2011. 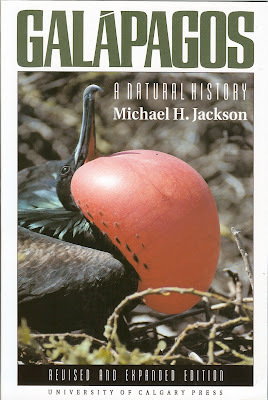 We purchased this book at Rancho Primicias in the Santa Cruz highlands. We fell in love with the drawings in this book. 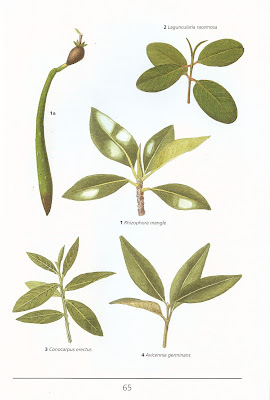 Almost all the plants depicted in the book were painted by Sarah Darwin, the great-great-grandchild of Charles Darwin. All of Darwin’s Finches were painted by Thalia Grant, the daughter of Peter and Rosemary Grant the subject of The Beak of the Finch: A Story of Evolution in Our Time by Jonathan Weiner. 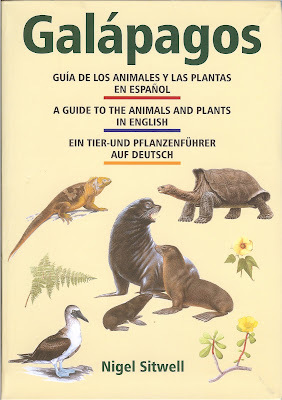 Another bonus of this book is that it is in three languages, English, Spanish, and German. It’s not a comprehensive guide, but with drawings and paintings you can often identify a plant more readily and see it in comparison to others. 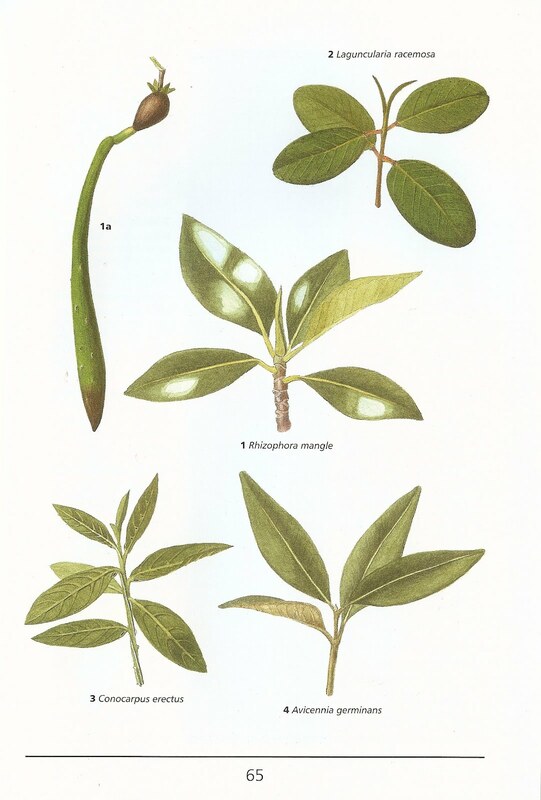 For example, the page on mangroves is one of the simplest and clearest to understand that we’ve seen. 5. Galapagos: A Natural History Guide by Pierre Constant. Original edition first published in 1994. 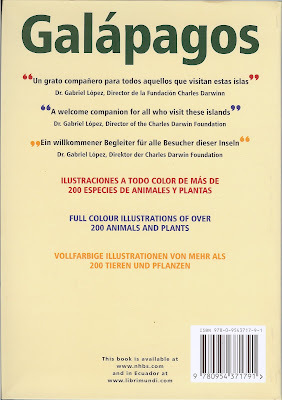 We purchased this book at the Charles Darwin Research Station in Puerto Ayora, Santa Cruz. Since we purchased it our last day in the islands we did not use it during the trip, but rather, after the trip. This book has great photos of a number of things we did not get to see firsthand. 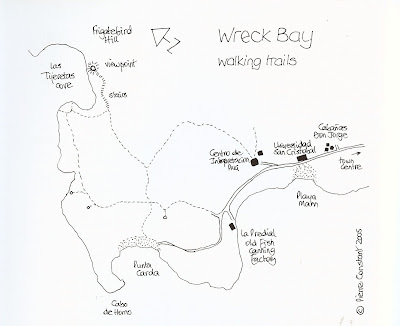 Also, there are a number of drawings of illustrating concepts and hand-drawn maps that are always nice- it gives it a more personal touch. 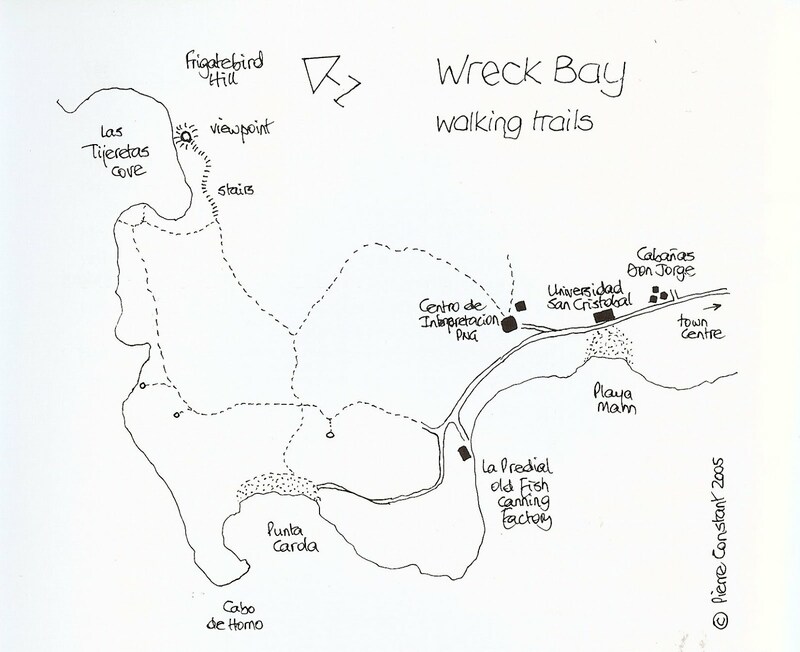 For example, see the drawing below of the paths around the Interpretive Center near Puerto Baquerizo Moreno. 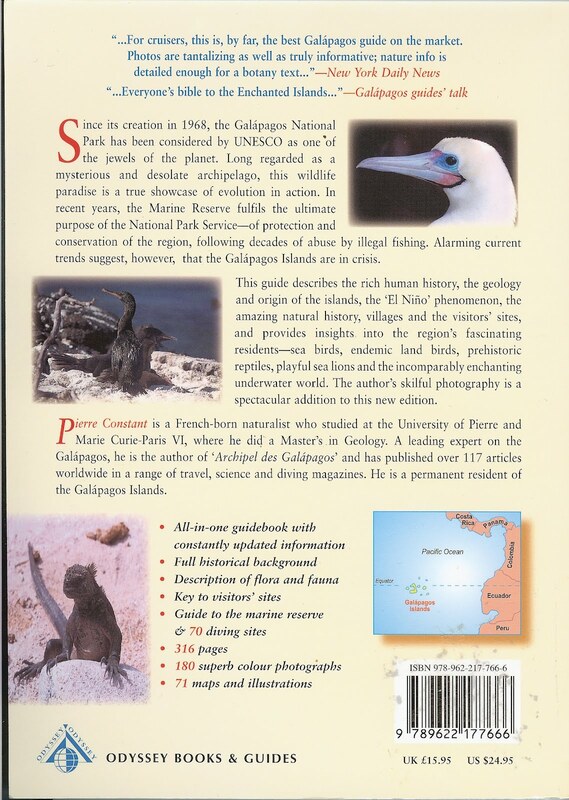 The author, Pierre Constant, is a resident of the islands with an intimate knowledge of them and you can tell, especially in Part Three: Description of the Islands which has lots of handy information about the islands and main towns. The only negative - for plant lovers - is that there is only a meager chapter (Chapter 6 in Part One) on plants. It’s a good overview, but won’t help you identify much in the way of plants the field. 6. 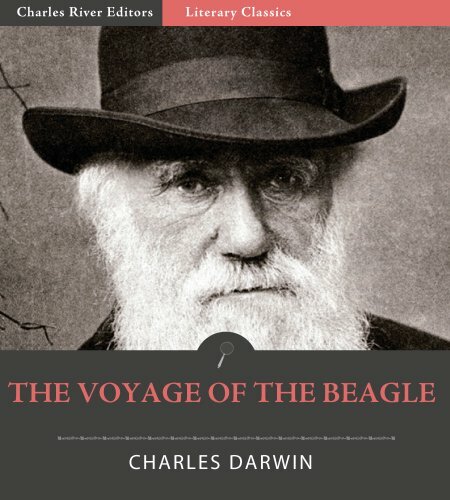 The Voyage of the Beagle (Illustrated) [Kindle Edition] by Charles Darwin. First published in 1838 as Journal and Remarks and revised in 1845. This is the diary of Charles Darwin. 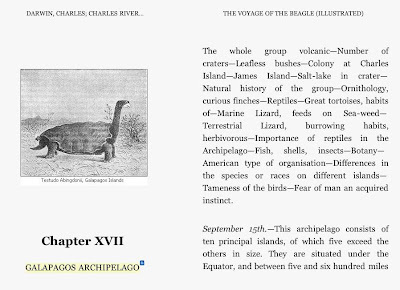 Chapter XVII GALAPAGO ARCHIPELAGO is the chapter we read before departing. 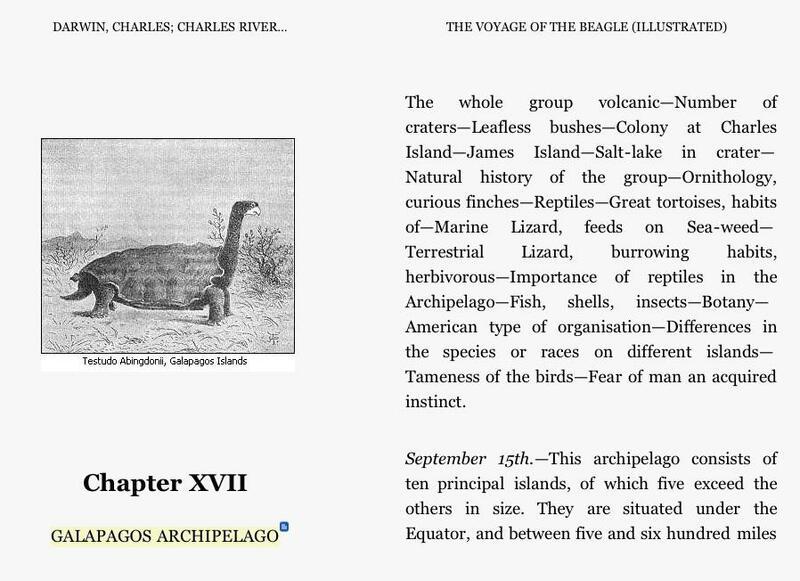 In this chapter, Darwin writes about what he saw and thought when he visited the archipelago. The text is surprising readable and engaging even today. 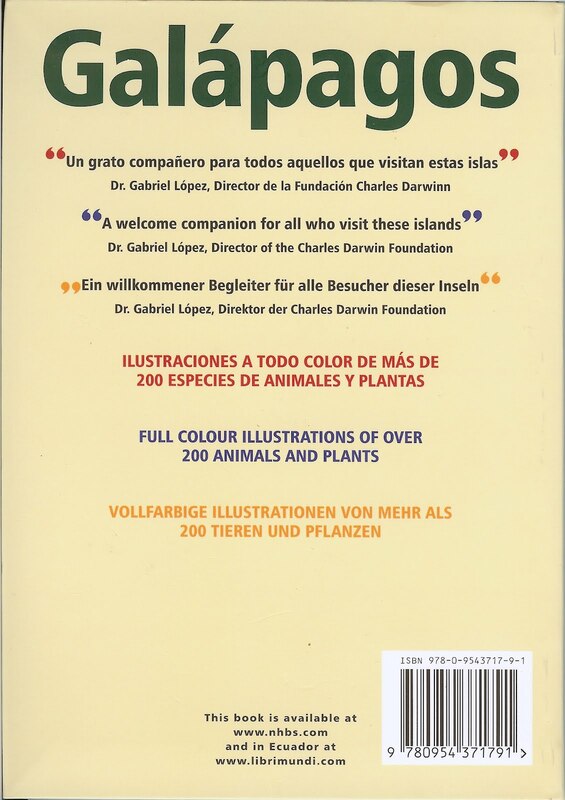 Darwin visited the Galapagos from September 15th to October 20th 1835. He visited San Cristóbal (Chatham), Floreana (Charles), Isabela (Albermarle), and Santiago (James) Islands. Darwin records his impressions of the “wretched-looking little weeds” that he first encounters upon landing on San Cristóbal and his experiments to find out what frightens marine iguanas: he repeatedly throws them out into a deep tide pool and they return back to him! 7. The Galapagos Islands: Exploring, Enjoying & Understanding Darwin’s Enchanted Islands [Kindle Edition] by Marylee Stephensen. First edition 1989. 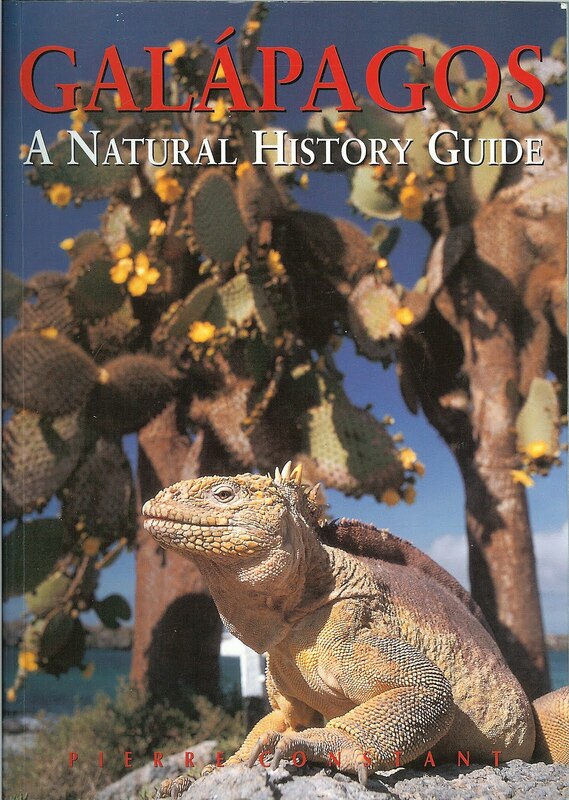 This is a quick read for getting you ready for traveling to Ecuador and the Galápagos Islands. There are good overall travel tips such as what to pack and what to expect. Chapter 5, Plant Life, will whet your appetite for more about plants as it is a very quick overview.